In California, in this election alone, two other counties, Santa Barbara and San Benito, put anti-fracking measures in front of the voters while Big Oil spent over $7 million to defeat them. Santa Barbara was defeated last night but San Bernardino County’s measure passed into law. Ohio, New Mexico, Colorado, Maine, New Hampshire and Pennsylvania have in recent years passed into law local ordinances banning everything from toxic pig sludge dumping to Community Bill of Rights legislation as well as legal standing for the Rights of Nature to exist. In 2010, the City of Pittsburgh, Pennsylvania made history by becoming the first city to pass a local ordinance banning hydraulic fracking. So far, state courts have upheld these rights in Colorado and Ohio. However, a bigger challenge comes in coming months as a federal judge will make ruling on Mora County, New Mexico’s recent local ordinance passed that bans fracking in their county. It will be high stakes for all as over 30% of the states revenues comes from the oil and gas industry. Yet clearly the people of Mora County are choosing to protect their health and well being over profit, jobs and revenues for their county. Last week NASA released photos taken from space showing mass methane gas releases from the four corners region of the Southwestern United States, stunning all as to the widespread drastic effects that intense and increasing fracking activities are having on our environment. Up north in Oregon, Lane and Benton Counties are bringing to vote local ordinances to preempt Oregon state laws for the right to determine local food sovereignty. Last year, Oregon had preempted local counties from banning GMO’s in their communities. Communities are now empowering themselves and fighting back. Who is the Author of Authority? The real basis of the question of the ability of local communities to write laws becomes just who is the final author of Authority? Put another way, who has the power to make law, the people in the communities, counties and cities where they live or unreachable legislatures and Presidents residing hundreds and thousands of miles away? Who are backed by huge corporate funding sources, that few can look, touch or feel, yet are called by many to be our “representatives” for what is best where we live, work and breathe. It is estimated in the United States alone there are some 26 million plus laws, rules, regulations, permits, codes, violations, infractions, et. al., where ignorance of the these laws are not excusable in court and our government schooling never teaches to anyone. And to enact state and federal laws, the powers that be must really on fear, force, coercion, ignorance and threat of being caged to get their laws obeyed. In other words, they demand obedience and compliance, or else coercion and force may be used no matter how amoral, immoral or destructive the laws may be. Who Will Enforce These New Laws? The next question that invariably comes up about the new local law is who will enforce it? Over the past few years a national organization called the Constitutional Sheriffs and Peace Officers Association (CSPOA) was formed to protect the people and their constitutional rights in the communities they serve over state and federal jurisdictions. Among other things, CSPOA makes claim that they are being adherent to the U.S. Constitution and that first, last, and foremost, it is the local sheriffs and community police officers who have final law and protection of its people authority. The people of these united States are, and have a right to be, free and independent, and these rights are derived from the “Laws of Nature and Nature’s God.” As such, they must be free from infringements on the right to keep and bear arms, unreasonable searches and seizures, capricious detainments and infringements on every other natural right whether enumerated or not (source). As of November 4th, 2014, over 650 police officers, sheriffs and public officials have put their signature to the CSPOA constitution. Sheriff Allman, of Mendocino County is a member of CSPOA. Mendocino County is known for growing medical marijuana and is legal by state and local laws. Most growers pay per plant taxes to county and state for the right to grow weed that helps and heals. 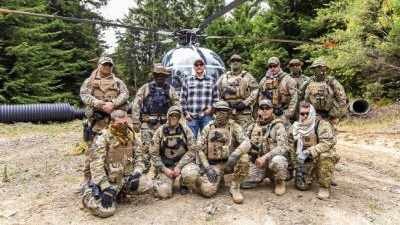 This summer, local growers were stunned to see several private, for-hire para military Blackwater type operations swoop down on ropes from helicopters, in full military regalia with guns drawn and no ID badges. It is probably not by sheer coincidence that this is happening when states are legalizing medical marijuana across the country and companies like GW Pharmaceuticals are selling marijuana based drugs like “Sativex”, which is derived from the Sativia strain of the plant that is shown to help with cancer treatments. Another main component of the ordinance passed is the establishment of a Community Bill of Rights for Mendocino County. Paul Cienfuegos, a long time regional Community Rights Organizer explains the need. Maybe the most critical and exciting piece of the local ordinance that passed in Mendocino County yesterday was the recognizing the Rights of Nature to exist and flourish. To this day Nature has no legal standing in our courts of law throughout the nation. In 2008, the nation of Ecuador made history when it became the first nation in the world to legally recognize the Rights of Nature as well as language to provide for the long term protection and security of her natural resources over all other interests. 2014 Global Rights of Nature Summit; A diverse gathering of 60 scientists, attorneys, economists, indigenous leaders, authors, spiritual leaders, politicians, actors, and activists from 16 countries and 6 continents. When do we all become indigenous people? In this critical time, where Nature herself is under grave attack from Man’s century of transgressions against her, caring people across the planet are actively and passionately beginning to realign themselves with ancient and native peoples by giving the highest respect to the life giving forces of Father Sun and Mother Earth. By taking back our power at the local level we are setting in course actions to arrest the gross degradation of our planet from those in near and far away places who are hell bent to destroy without conscience and who seek only profit and power over all. As We the People once again reclaim our rights to be the legal primary stewards of our soil, air and waters we are reconnecting with the immutable Laws of Nature and Source of all that is. By coming together (to gather) to be the change we all wish to see, we bring hope and show future generations that they too have the power to change what must be changed or our children will have no future to exist and flourish in health, abundance and beauty. Wait. 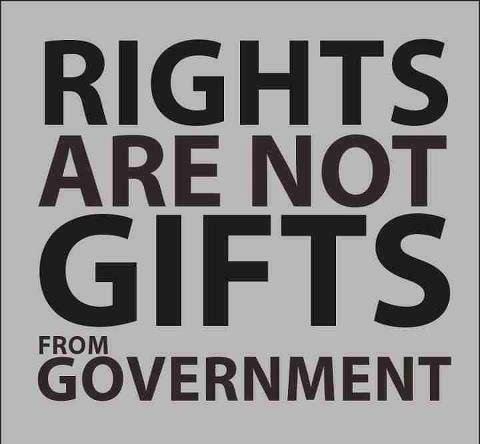 The Constitution already declares individual rights, self governance, and limited government. It’s up to the people to back their constitutional sheriff whenever he/she fights government overreach, whether local, state or fed. There is no “self governing” when you allow others to dictate over you. Giving your power to the UN does NOT constitute “self governing”. you give you power away as soon as you acknowledge someone else, or a non-living institution has rights OVER your power as a sovereign human being. My heart supports this, my gut says it leads to Balkinization. We are one world, one people. Creating repositories of collective wisdom that include all the people seems the direction we need to go. Fear fragmentation will lead to greater divisiveness and conflict. Law not war. The ever-changing “law” (as a formalism) is really little more than an arbitrary set of rules and regulations, at this point in history most often crafted by one special-interest group or another, and for their specific benefit. We’re drowning in the stuff, and it usually makes no sense on purpose. But the desired effect is achieved – a cowed and confused population is easier to manage. A fully sovereign individual requires no one else’s permission to exist. A mature individual understands the practical necessity of mutual cooperation, and the wisdom of the Golden Rule becomes self-evident. Nothing further is needed. Except to grow up. Still have a way to go, apparently. How is this different, in theory, than what the Utah Theo-Cons want with their Constitutional Sheriff nonsense?